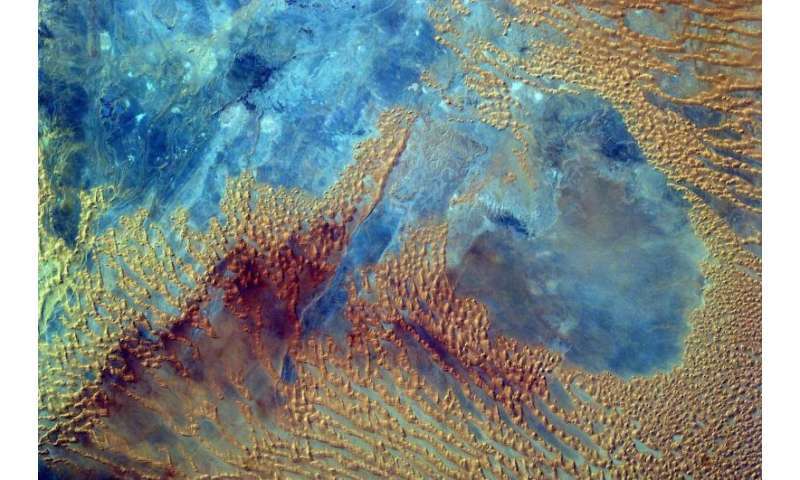 Middle school students programmed a camera aboard the International Space Station—the Sally Ride EarthKAM—to photograph this portion of the Sahara desert in western Libya on October 3, 2016. In early November 2016, the Expedition 50 crew set up the EarthKAM gear once again in the Harmony module's Earth-facing hatch window, to allow students to photograph targets on Earth and downlink the imagery. EarthKAM is the only program providing students with such direct control of an instrument on a spacecraft orbiting Earth, teaching them about environmental science, geography and space communications. The project was initiated by Dr. Sally Ride, America's first woman in space, in 1995 and called KidSat; the camera flew on five space shuttle flights before moving to the space station on Expedition 1 in 2001. Neat. How long before we have a SpaceKAM?